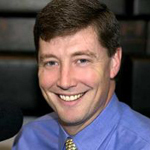 Jason Hartman talks with radio personality, author and documentary film producer, John Ziegler. A man who always has a mission, John was a radio host in Kentucky several years back, his dogged pursuit of a gubernatorial scandal resulted in the Democratic governor’s removal from office (note: the Governor was not removed from office, this was an error by Townhall). While working the drive-time beat in Los Angeles during the 2004 election, he brought John Kerry’s Iraq gaffe (if you don’t do your homework, the senator warned students, “you get stuck in Iraq”) to national attention. Now he’s at it again, producing a documentary that he promises will “show just how deep in the tank the media was for Barack Obama” during the recent presidential contest. More at: http://holisticsurvival.com/category/audio-podcast/. The film, “Media Malpractice: How Obama Got Elected,” isn’t due for release until late February, but it has already attracted a good deal of attention. Through interviews and poll data, Ziegler makes the case that the slanted coverage tilted the playing field toward the Illinois Democrat. Part of the movie—which can be found at www.HowObamaGotElected.com and had been viewed nearly 2 million times as of December 2008—consists of interviews conducted at polling locations around Southern California. Ziegler asked Obama supporters a dozen questions about politics and the 2008 presidential campaign and inquired what news sources they relied on (Sample queries: What political party currently controls Congress? Which of the four candidates has a pregnant teenage daughter?). The interviews revealed that, by and large, Obama boosters knew most of the unflattering news about the Republican ticket, but were utterly clueless when it came to negative news about the Obama team and basic questions about the political system. To Ziegler, it was evidence that the mainstream media’s unequal treatment of the two candidates had permeated the public consciousness. Still, he wanted to get more scientific data to bolster his case. Ziegler commissioned (“at great personal expense”) a survey from well-known pollster John Zogby that asked the same slate of questions. Although not surprised by the results, the gap between Obama voters and supporters of John McCain “was even more dramatic than I expected,” says Ziegler. As with the Election Day interviews, Obama partisans were unable to answer even rudimentary questions about government issues. Armed with this information, Ziegler hit the cable news circuit to share what he had found. After introducing the discovery on Fox News’ “Hannity and Colmes,” controversy erupted. Many Democrats cried foul at the poll’s methodology, leading Zogby to distance himself from it, and even Fox News host Bill O’Reilly chided Ziegler for not quizzing McCain voters as well. The last part is particularly galling to Ziegler. Movie making is just the latest avenue pursued by Ziegler, who has dabbled in everything from sports reporting to talk radio over the past couple decades. Though his career has been prolific, it’s his current work that he considers most crucial. “I think what I’m doing right now is some of the most important work I’ve done in my life,” he says. “I am confident that ‘Media Malpractice’ will be even more well-received than the last film.” Oh, and his critics should know something else: He’s here to stay. “I think I ought to be the Right’s Michael Moore, with far more facts and far less fat,” says Ziegler. “I know I can fill that role, and I know I can help the movement. John Ziegler smashes through the omni-present facade of politically correct taboos as he exposes how the news and popular culture media has created arbitrary, biased, and illogical rules for determining what YOU can hear and say! In his new groundbreaking book, “The Death of Free Speech”, he details how in almost every major case of speech and punishment? in modern America, the guilty verdict was wrong and unjust! John Ziegler takes a second look at contemporary incidents involving well known public figures. He blows apart the conventional wisdom that led to these well known people being unfairly penalized for expressing their constitutionally protected opinions and explains why others have been spared the same fate despite saying practically the same things! Through his own experiences and others who found themselves the target of the self-appointed ?thought police? in the news media, John Ziegler takes an in-depth look at the issues that surround these controversies. He looks at the increasing corporate conflicts and legal restrictions being imposed on free speech, particularly when it comes to political speech, which came to the forefront as recently as the 2004 election campaign in the battle over the candidates’ Vietnam War records. John Ziegler exposes a media “matrix” that makes it impossible for the truth to ever be known by most Americans! But NOW, YOU can read the REAL truth behind this culture of distortion and lies! “The Death of Free Speech” is a researched, objective, provocative, yet entertaining look at this important and underreported reality in American society. There is no one better to tell this story than John Ziegler as he warns that our most cherished constitutional right is in grave jeopardy!